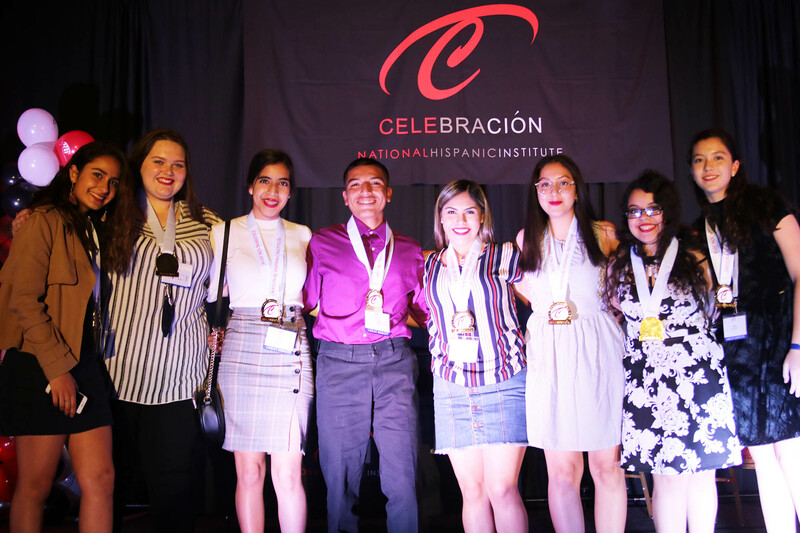 The 2018 edition of the Celebración Great Debate competition involved students in discussing potential brands for the Latino community, building upon what NHI created for the prior year’s Celebración. This year, a team of Texas students — calling themselves La Revolución — emerged as winners and presented before the finals night assembly of over 500. The winning La Revolución team used “Red” as a unifying concept to build their presentation around — which started with video showing parallels between Cesar Chavez in 1970 and immigrants fleeing Central America in 2018. The presentation also took ownership over change, stating, “It is up to us to take the next step” at an integral moment. Celebracion 2018 was sponsored in part by State Farm.